After living a few months in the hotel, we moved to our new home. There was a housing development being built for the Americans about 20 miles out of the city. 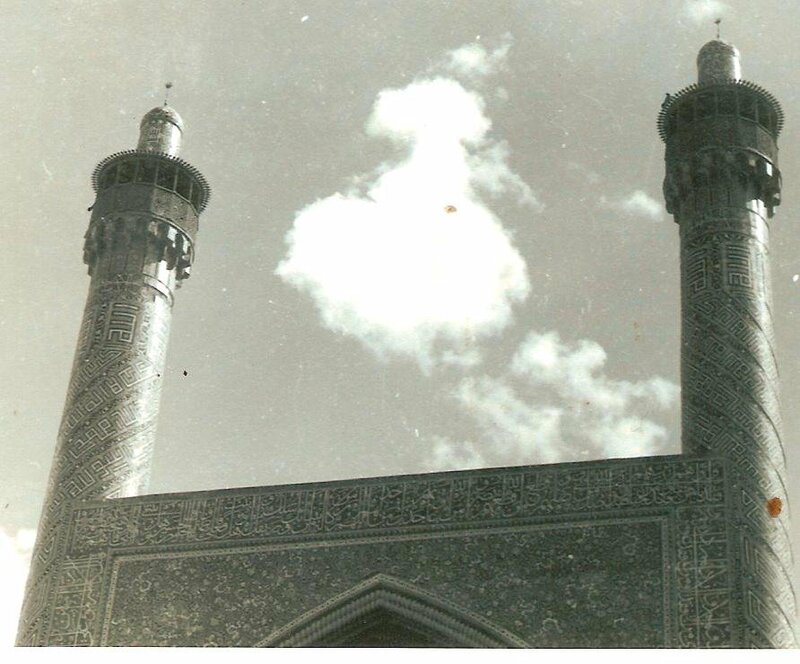 It was called ” Khaneh” which means “town” in Farsi. Farsi is the official language of Iran. No other country really speaks it and it is not an Arabic language. The houses were each separated by cement walls to divide up the yards. Most of the homes were rectangular shaped , had flat roofs and were connected together in twos. We were one of the first families to move into this community and our street had a funny name, “P 2”. Our yard were just dirt at first and we played badminton and volley ball in the back yard for fun until we got all of our belongings delivered ( a few things from the U.S.). We did not have to buy any furniture, my fathers company supplied everything we needed. Us kids had fun running through the house and claimed our bedrooms upstairs. One of the strange things about the house was the down stairs bathroom. The toilet was in the floor In the Middle east, and many other parts of the world, they just have holes in the dirt or floor. This at least had plumbing and you could flush with a pull chain. Needless to say ( for the girls in the family at least ) we did not use that bathroom. It ended up a place for us to put our bikes and sports equipment. We did not have a garage because we did not have a car. It would have been too dangerous for us to drive ourselves in Iran. At that time, the road laws and speed limits were not too safe for Westerners who were not used to Iranian roads, traffic and drivers. We never saw any stop signs and there were not many traffic lights. So we had buses that came into the community to take us any where we needed to go. We also had no telephones. All of our communicating was done through writing and delivery. If we wanted to know what was happening in the city or for events in our community, we got notes delivered to our door by some of the workers in the different American companies. My father worked for Grumman and there was also Bell Helicopter, Pratt and Whitney, and other companies to work for the Iranian government. So for mail and phone calls for us, it had to be taken care of at my father’s office at the Khatami Airbase. 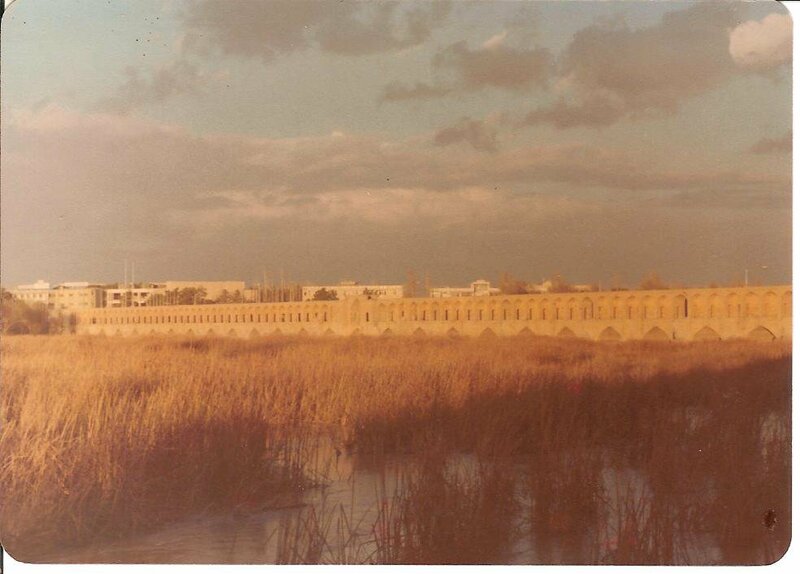 Khaneh had a big center park where they built a few tennis courts, baseball and soccer field and outdoor movie space. So as far as having community activities, we all would meet up there. There were a few houses that were made into meeting places for the youth, hobbies, classes, a small library and a place to just meet up. So we did have a place to live where we got to be with other Americans. Many other foreigners and Americans lived in the city in their own chosen houses and apartments. We spent a lot of time in the city of Isfahan by taking the bus. What an adventure it was to see all of the sights and meet the interesting and hospitable Iranians! At first, school for us was close to the city. It was very different from what I was used to in the States. The teachers were from around the world as well as the students. So it was an international education that we got to experience. We had classmates and teachers from many countries like Vietnam, Norway, England, the Netherlands, Iran, and many of the American States. I liked all the people at school, but I did not like the building and school grounds very much. It was sort of dismal for some reason. Eventually a new school was built further out in the country side and we started attending there. New classrooms, library, sports courts and all. 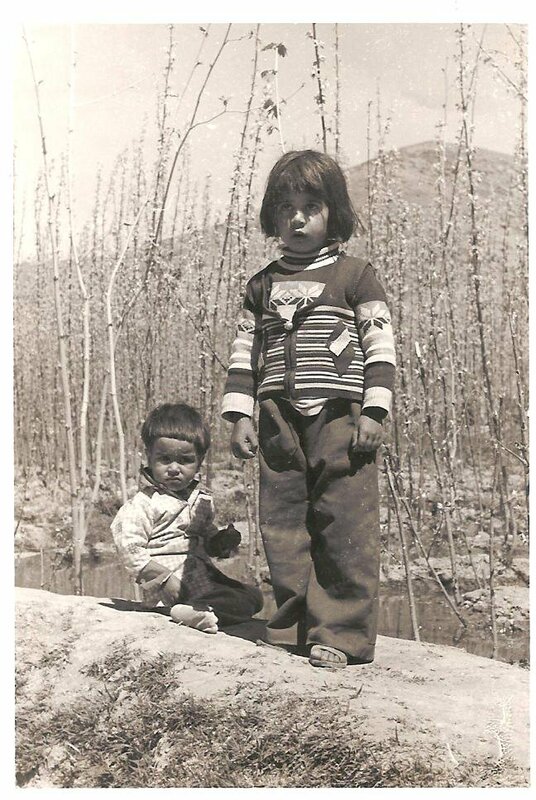 More kids started coming into Iran and it was exciting to meet them. Our new life in Iran taught us how to be flexible, appreciative and open to new and very different changes from the normal American society we came out of. The terrain in Iran in this part of the country is dry and mountainous. The altitude is very high and the climate is similar to a desert. But instead of sand, it was a fine dirt. The landscape was also very lush in many parts. By the river it always green in season and there were beautiful gardens and grasses. The mountains surrounding Isfahan though, were mostly rock. In the North in Tehran ( the new capital of Iran) they had trees in the mountains and snow. Our region had many farms and villages. We saw lots of sheep, goats,donkeys and chickens . In the outskirts of the city we saw many camels that the villagers owned for transportation. It was so cool to see camels. We even got to ride them! It was fascinating to see how these people lived. Many had no electricity. That is something most Americans can not comprehend. Realizing this is just one of the examples of how our experience of living in Iran taught me gratitude. But even though these villagers had so much lees than us westerners had, they were so happy and gracious! When we took trips into the countryside, complete strangers welcomed us into their homes for lunch and tea. One time when my grandmother came to visit us from New York, we took her out to the villages to show her around . My father was asking in Farsi ( they spoke no English ) about the possibility of hiring some one to take us on camel rides. The word for camel sounds just like” chador”, the word for the cloaks that the women wear, and they misunderstood my father’s accent. So they brought us out some fabric! Finally I took out a pen and paper and drew a camel and they got very excited and invited us into their home to meet the camels in their courtyard. The homes are mostly made of straw and mud put together like cement. They have high walls around the houses and it is set up like a big square with the center being open to the sky as a courtyard. The indoor rooms are surrounding the open space where they keep there animals and usually have a small fountain of water in the middle.. The rooms don’t have much furniture, they mostly have beautiful hand-made Persian carpets in all the rooms with big pillows to be used as seats. Even their beds are mats on the floor! For the dining area, that too is just a carpet on the floor with a hand-made table-cloth spread out on it and big pillows around it to sit at. You get to eat on the floor! On this occasion, we not only got to ride a camel, but we got invited in to have a meal with them. You just don’t see that in America. Imagine some foreigner just driving up to your house in the suburbs and asking if they could go for a ride on your tractor mower and getting their picture taken with you. Then you say “Sure stranger, come on in and have spaghetti and soda with us while you are here.” This is how the Iranians were to us. They were so kind and generous. It is important to them to be hospitable. What a good lesson we learned from these nice people. That day with my Grandma and family, we sat on their dining room rug and were served an incredible meal and tea. Roasted Lamb kebabs, rice with saffron, ( the “spice” they get from the inside of the crocus flower..very expensive and rare here), flat bread, tomatoes, onions, soup, a special candy made with nougat, rose water and pistachio called “Gaz”, and tea served in clear glasses. But the most incredible part of this feast was the bowl of fresh made yogurt that was served to us. It was no ordinary bowl, it was a goats head!! Yes, they carved out the roasted goats head and put yogurt, cucumbers, parsley and onion in it! That was the scariest dish I have ever seen. Of course I could not eat it..but I did love everything else. That was an experience I will never forget. This is my story in my 12-15 year old voice. My impressions and an attempt at portraying the story of the life of an American child of the mid 1970’s and our family’s move to a whole new world, the Middle East. Long Island, New York, 1975. Dad tells me we are moving to the other side of the world. His company has offered him work in the ancient capital of Persia, Isfahan, Iran. It may be like going back 500 years in time. Our family of six are leaving the United States of America into the unknown…..
Now we are to prepare for a new lifestyle, a different world as we know it and an adventure on the other side of the globe. This is my story in the voice of my 15 year old self back in time. Using the words and experiences of my childhood. It’s 1975 and we are moving to Iran. My father has been asked if he would relocate to the Middle East for 4 years with his company, Grumman Aerospace. The Shah ( King) of Iran and the Iranian government are trying to improve the country by building up their Air Force, establish social security and form good relations with the West. My Dad’s company sold F-14 fighter jets to Iran and they need to be there to teach the pilots, maintain the F-14’s and other work at the airbases. We had to prepare for the move by packing up our home in New York and putting our belongings in storage. Until returning my parents rented out our home and we said goodbye to all our friends and family. Our one pet, Bonnie the German Shepard, moved in my Aunt ,Uncle and cousins. I knew I would miss everyone and the U.S.A., but I was so excited. I was 12 years old. We went to New York City before we left to visit the Iranian Embassy and we learned about the country and culture to get an idea of what to expect. We went to get our passports and about 12 immunizations to protect us from foreign diseases. Ouch! I wondered what I was being injected with. I packed up a few belongings to bring with us. At the time, instead of a doll or teddy bear, my comfort item was a down feathered pillow. It took up most of the space in my hard cased pink Samsonite suitcase. December 1975 we flew from JFK airport in New York City to London, England. On the plane I started a journal. I was so excited and really had no idea what my life was going to be like in the years to come. We landed in Heathrow airport, London after an 8 hour flight. The airplane was huge and we got to watch movies, listen to music and had some hot meals. London was so beautiful. It was winter, so it was cold, but fascinating to walk through the streets of London before we got settled into our hotel. My younger sister and I got our own room . The key that was given to us was one of those big antique types. We were mesmerized by the snowy scene outside our window overlooking the city streets. Later in the night we were awoken by hiccuping, burping sounds and realized that someone was trying to open our door! We got scared and assumed it was some drunken person. Luckily, my parents were in the adjoining room and they kept us secure. The next day we got to do some touring before our flight to Iran. I remember the beautiful architecture, big taxi cabs driving on the wrong side of the road and knowing we were definitely somewhere else! I was hoping that we could spend more time in London, but it was time to leave for Iran. 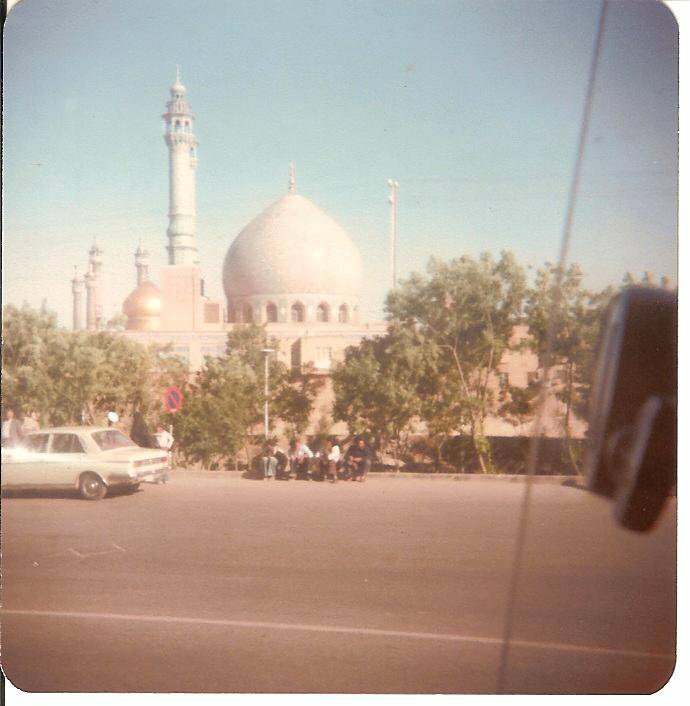 Our long flight to Iran landed us in the city of Abadan, which is in the south west of Iran near Iraq. It was dark when we got off the plane and warm and humid out. I was so excited to see palm trees there! Big difference from cold London from the day before. We take a shuttle bus to our hotel and check in. The first room I walked into had a horrible nauseating smell! Quickly my parents requested another room for us. This was our first introduction to life in the Middle East. The following day we flew on a small airplane to Isfahan, the old capital when Iran was called Persia. After going through customs, we caught a taxi cab to a hotel that would be called our home for a few months. My fathers company had this all planned out for us, so he did not have to be so concerned about all the details and arrangements. The Park Pol Hotel in the city overlooked a beautiful river and park ( the above photo shows the 33 bridge that spans the river). 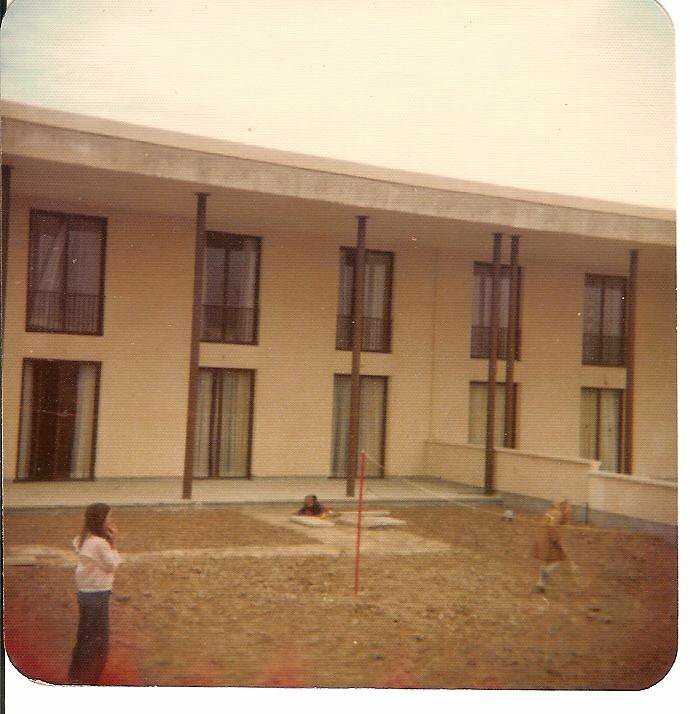 It was clean and comfortable and we were divided up into three hotel rooms to live in until our new home was finished being built. During that time we were introduced to the Iranian lifestyle. Touring the old and new parts of the city, learning the language, figuring out the currency ( rials), meeting the Iranians and getting to know all the other Americans and foreigners who were getting settled also. While living in the Park Hotel, we bought most of our food from a small local grocery store called the Super Pol. It was very different from American food. Most of it was very fresh and natural, no preservatives or chemicals used. The main diet of the Iranians was lamb, rice, vegetables, soup, freshly baked flat bread called “noon”, pomegranates, pistachio nuts, barley , ground meat roasted into kebabs and chicken. It was all delicious. We also had interesting choices from England and Germany in the stores. There was not a McDonalds, Pizza Hut or Taco Bell in sight. The bread was my favorite! They bake the flat bread in a pit in the ground! There’s a fire at the bottom and they slap on the fresh made dough onto the sides onto hooks and let it bake. Sometimes we would find little stones in our bread! We also shopped at the beautiful and ancient Bazaar. It was part of a large square that also held the an old palace and a mosque ( the Muslim place of worship), various shops and markets all surrounding a large rectangular fountain pool. It was a busy and popular part of Isfahan and held so much history. Inside the Bazaar was amazing! There were individual merchants set up in little booths inside and out, selling so many incredible items and foods. The building itself was beautiful and fascinating. The ancient structure had 40 foot ceilings in some places and was a maze of corridors and rooms. It was very easy to get lost in this ancient “shopping mall”. Open windows in the roof allowed sunbeams to shine down on the dusty dirt floor. Individual shop owners had there wares out on display for us to bargain for. No set prices! We found burlap bags filled with grains and spices, nuts, fruits, fresh and dried, butchers selling meats, fragrant Basmati rice, shining gold jewelry like I have never seen, hand worked copper plates, lamps, shoes, fabrics, clothing, Persian carpets, inlaid mosaic art, miniature style paintings and so many more exotic and hand crafted items. This place was nothing like I had ever seen before. Easily we could have gotten lost. The smells were intoxicating..spices, lamb kebabs cooking over a fire, fresh corn on the cob and the most delicious flat bread baking. The Iranians were so gracious and friendly to all of us . They were happy that we were in their country. Always curious and hospitable. Most of the women wore large fabric coverings called chadors” over their regular clothing . It is part of their religious traditions and beliefs to be modest and cover their entire bodies and even hair. Not all women dressed like this in Iran. In the 1970’s while we were there, many women dressed more western. The men wore mostly dress shirts and pants and even though it could be very hot and dry in Iran, they wore dark colored clothing. The people that we eventually met in the countryside and villages, wore farmer and peasant type clothing. Most all of the women in the areas away from the city wore chadors. So we could see that the people had freedom in their lifestyles, even though most of the country was Islamic. We really stood out though, being fair skinned and light haired. I was not used to others staring at me and reaching out to grab my hair and face. That took some getting used to and I was uncomfortable about all that. My parents explained to me why they did that and I just learned to ignore most of it, but would push away when grown men were grabbing my face to kiss my cheeks! So much for my 12 year old self to take in. My first introduction into Iran was exciting and so different from anything I had ever experienced. This was to be my new life for the next few years. 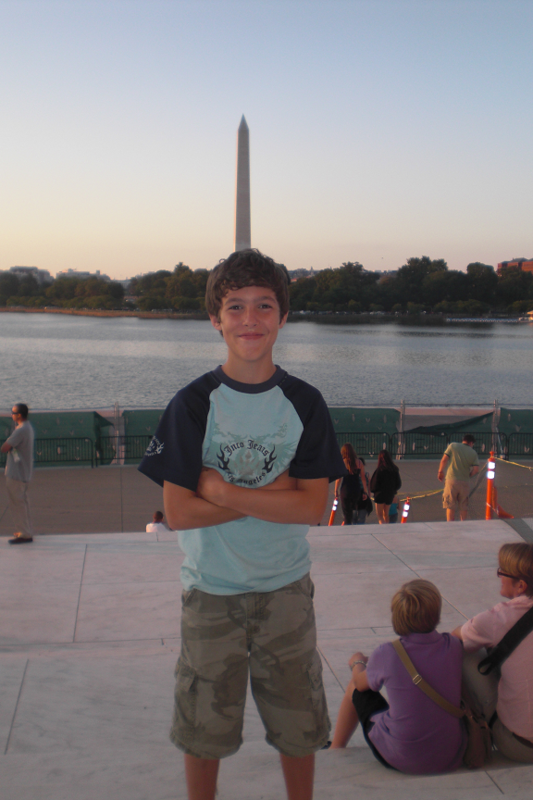 Our Nations Capitol ..Washington D.C. ! 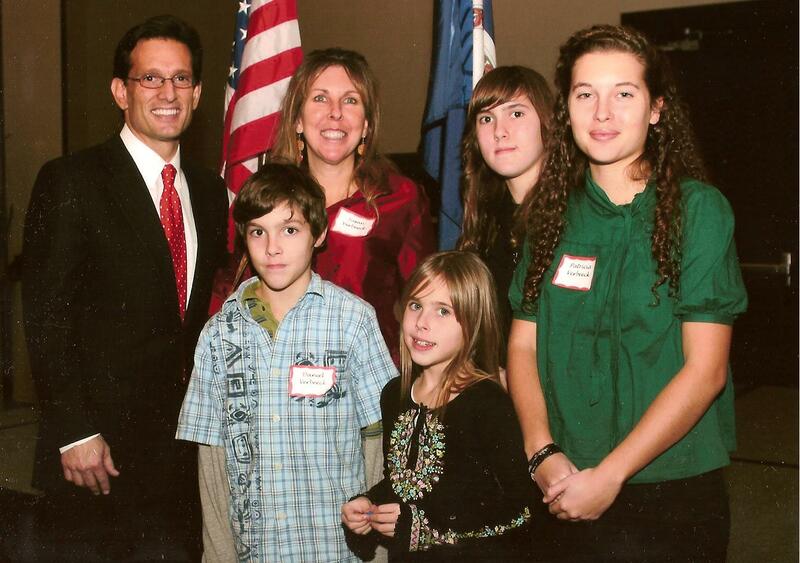 For the past 8 years we have been blessed to live just 90 miles south of the capital of the United States of America. While we happen to be living here, we have been trying to take advantage of our close proximity to the vast array of sights and activities. Seat of our government, it’s the heartbeat of this Nation ! The District of Columbia encompasses only 69 square miles and is bordered by Virginia to the South and Maryland to the North . Most of the buildings are made of white marble and are all low lying ( not a skyscraper in sight ! ) This is an exciting city filled with people of many nations, the countries best museums, government head quarters, tourist sights, incredible history, and where our money is printed. Being a large family ( 9 of us ), we need to be resourceful and find as many free and inexpensive activities as possible! 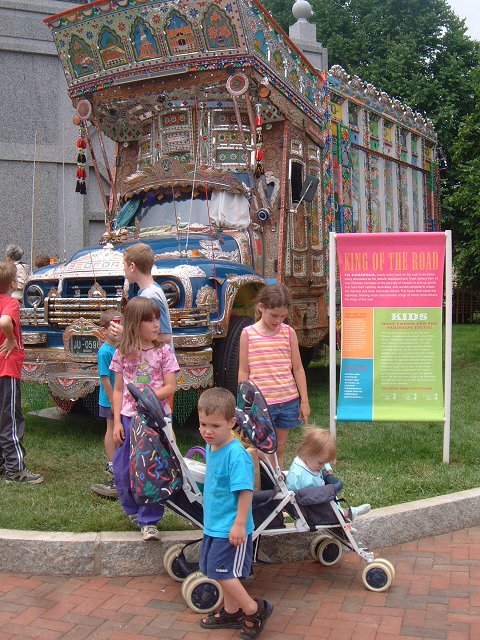 Washington D.C. happens to have most of it’s tourism geared towards all destinations being free. The only challenge is in parking. Getting in and out of the city is easy if you don’t count rush hour traffic . This always needs to be taken into consideration. We take day trips, so I can’t give any examples on hotel accommodations just yet. 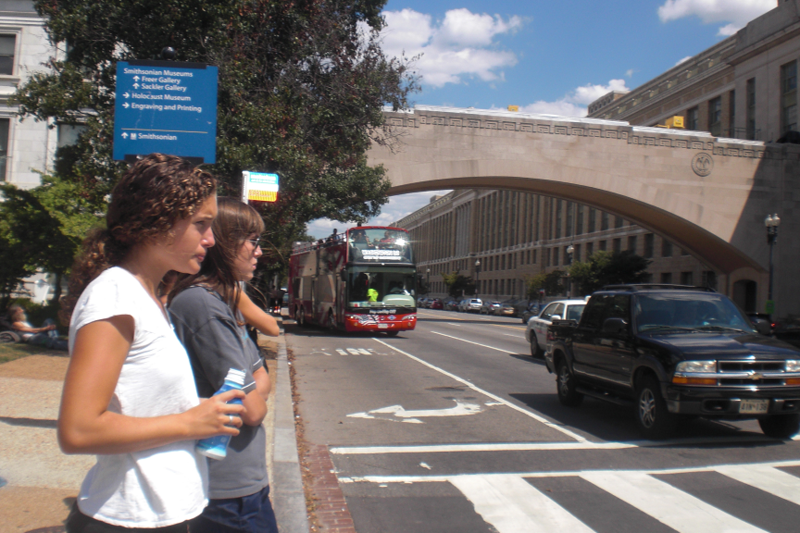 It’s very difficult to decide on our 5 favorite locations to see in Washington D.C. There is so much to do in this exciting area. I’ll just mention some of the places we have visited so far. Not to be ignored by any age is the National Mall which is a 2 mile long expanse of Monuments, parks and Museums. This rectangular area is marked by the Lincoln Memorial on the East end facing the Capital Reflecting Pool and the Capitol Building at the West end. This is a good hike..146 acres to explore ! Don your best walking shoes ( I learned this the hard way this summer! ) We make sure that our kids ( and our foreign exchange students ) wear comfortable clothes and good shoes . If you are taking small ones ( 6 and under) take along the stroller . Along the Mall you can walk to visit the main monuments and government buildings: The Lincoln, The Washington, The Capitol Building, the various war memorials ( Vietnam Wall, Korean , WW I and WW II ) and most of the Smithsonian Museums ( including the Smithsonian Castle which houses the visitors center.) All of our kids ( right now ages 9-21), enjoy all of the sights. Once we were able to get a private tour of the Capitol Building ( 2nd oldest public building in DC, the White House is the oldest) by our Congressman Eric Cantor’s office ( he is our nations current House Leader). By appointment, we were led through the underground tunnels that lead from his office to the Capitol Building and got to sit in on a live session in The House and Senate Chambers to witness some legislation in action! 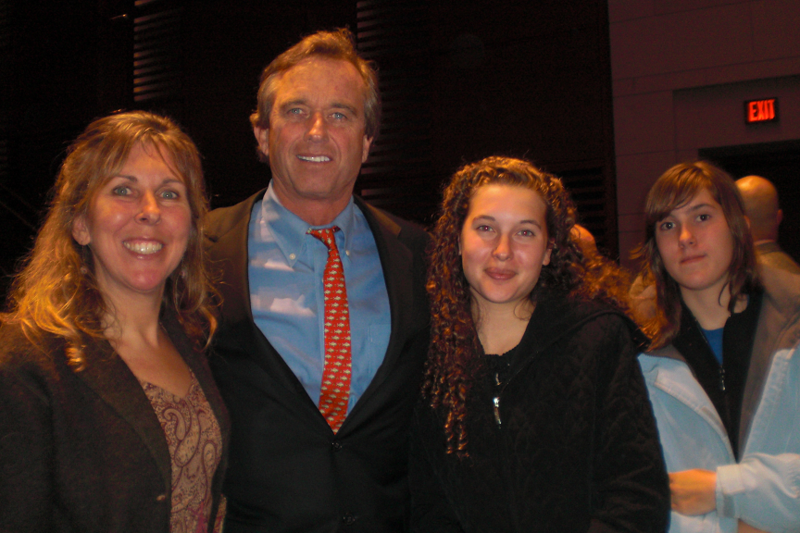 Another time my two oldest daughters and I were privileged to attend a film screening at the Capitol Theater and got to meet and chat with Robert F. Kennedy Jr. ! With all the walking we do, stopping and resting on the cool white marble steps of the monuments is a good idea. We sit to people watch and plan our next destination. For eats and drinks, we pack backpacks with food and water from home. There are not too many choices for eating along the Mall. Our kids are content to eat our food on the Mall lawn and watch the gatherings of impromptu soccer and frisbee games that seem ubiquitous in this park ! A few times a year, we take in foreign exchange students. This is a perfect field trip destination for them. We get to be cultural ambassadors for these kids ! Some of these photos show a guest we had from France this past summer. The National Museum of American History, 1400 Constitution ave. See Dorothy’s ruby slippers from The Wizard of Oz, Edith and Archie Bunker’s chairs from All in the Family sitcom, Abraham Lincoln’s top hat, Thomas Edison’s electric light bulb and the first record player. But the most impressive to us is the room that holds the Star Spangled Banner ! The flag that flew over Fort McHenry in Baltimore , Md. during the British attack in the War of 1812 ! As it is for most all of the Museums, you will need many hours to really see all that is on display. 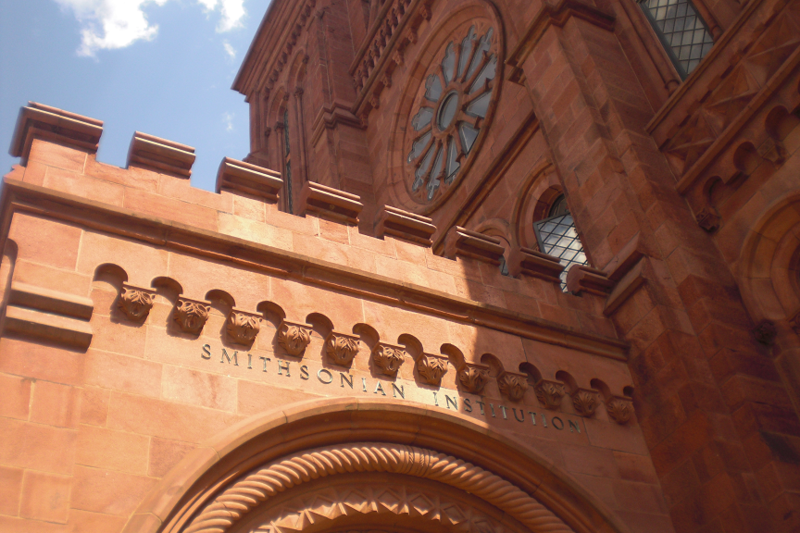 The Natural History Museum, 10th st. and Constitution ave. Our kids always want to head to this museum first. Thousands of real, but stuffed, : animals ( greeting you upon entrance is the 13 foot tall African Bush elephant), insects ( gigantic cockroaches), marine life ( giant squid found off the coast of Spain), dinosaurs ( an 80 foot long Diplodoccus), human mummies, the Hope diamond and Moon rocks ! This place can get pretty crowded if you are visiting during the summer or on school breaks. Because we home educate, we can go on a weekday and off season. Being able to let our kids spend as long as they like to view and read about each display makes such a difference in what they can learn. If we go on a weekend in the summer, I don’t get to see any of the sights..I am keeping a close eye on my kids the whole time ! The National Air and Space Museum, Independence av. between 4th and 7th st. I grew up with the American Space Program from it’s very beginnings due to my fathers work( 1st landing on the Moon all the way through to the Space Station, and the government Aeronautics industry.. F-14 fighter jets..some sold to Iran back in the mid 70’s and because of that, we got to live there for 3 years ! ) So this museum is an exciting one for us ! See up close the Wright Brothers Kitty Hawk and the command module of the Apollo 11. There is a more recent Air and Space museum now located near the Dulles airport that holds a Concord and a Space Shuttle ! These are very impressive destinations and there is an incredible amount to see. Of course, there are so many more museums in D.C. that are just amazing: U.S. Botanic Gardens ( live plant species from around the world) , National Galley of Art ( da Vinci, Rembrandt , Georgia O’Keeffe) National Museum of African Art ( bronze sculptures of Nigerian Kings), U.S. Holocaust Memorial Museum ( replica of a Jewish ghetto), National Archives ( Declaration of Independence, The Constitution and the Bill of Rights are all on display here.) My kids love this place due to the ” National Treasure” films. What an education we all get going to these museums ! Lions and tigers and bears, oh my ! The National Zoo is also free ( but parking makes up for it..$22 for the day) We try to find a free spot on the street and just hike over to the Zoo. Here too, we pack our own food from home. Sounds dull, I know, but because we visit there so frequently, we need to make it affordable. There are so many delicious and diverse restaurants in D.C. , and we have been to some. Just can’t do it every time ( remember there are 9 of us and our exchange students on occasion : ) Here at the Zoo you can see the orangutan crossings over head, the panda village, replicas of most of the world regions with their indigenous animals, birds, reptiles and plant life. It’s a very pleasant and well designed zoo. Our kids can spend the whole day here. 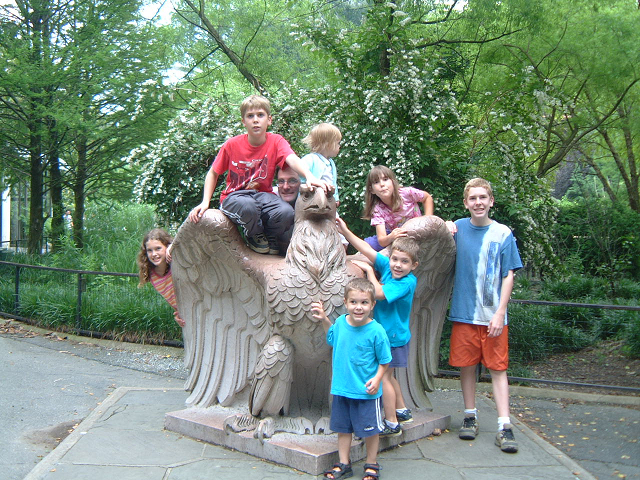 One of my friends teenaged guest from Provence, France, visited the zoo with her and her family. After the excursion she asked him what he thought of the place. ” This was the first time I have seen an American Bison”…then she finds out he has been on safari in Tanzania, Africa..whoop dee doo American zoo : ) At least he was very gracious. The White House ( 1600 Pennsylvania ave. ) is directly across and in walking distance from the Washington monument. It was originally called the Presidents House and has 132 rooms. Depending on what is happening at the moment in regards to national security or if the President or someone from his family are out on the lawn, blockades are now put up so that your view is much further back. Usually we are able to get right up to the front iron fence to look at the house ( and of course take pictures). Not much else to do after that at the spot. To get a tour now of the inside, you need to apply for free tickets online and it could be a 6 month wait. We have never been inside yet. But it is a good idea to at least go and see it with your kids. It faces the Ellipse park that is an enjoyable circular walk that contains a few more memorials and always seems to have some sort of live Military activity ; U.S. Army Drill Team and Band and The Old Guard Fife and Drum Corps. Concerts on the Ellipse are also free ! Mid April you can see the Cherry Tree blossoms and enjoy many of the festivities. TOO MANY MORE FAVORITES ! We have yet been to Arlington Cemetery, the National Cathedral, Fords Theater, up inside the Washington Monument, The National Geographic Museum, The Library of Congress and so many other great places that I can’t list with out writing a travel brochure ! I will post more stories and photos as we experience them. 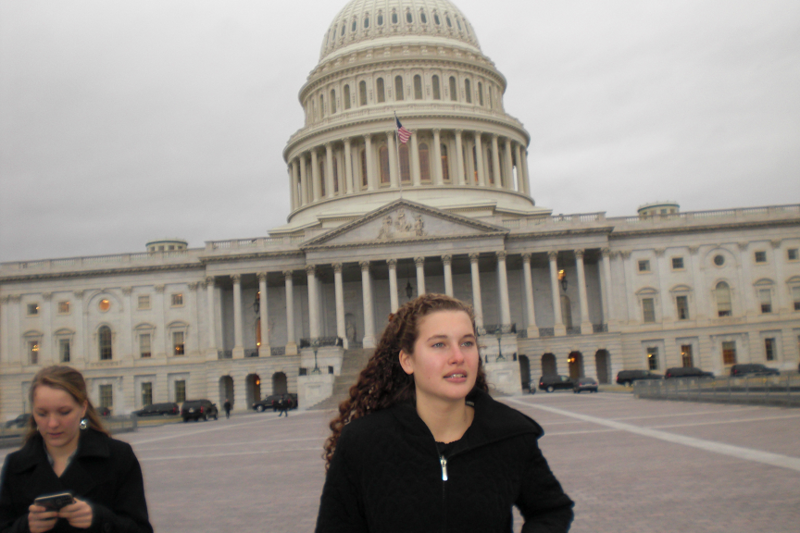 Hope that you all get the opportunity to see our beautiful nations Capital ! May God continue to Bless America ! 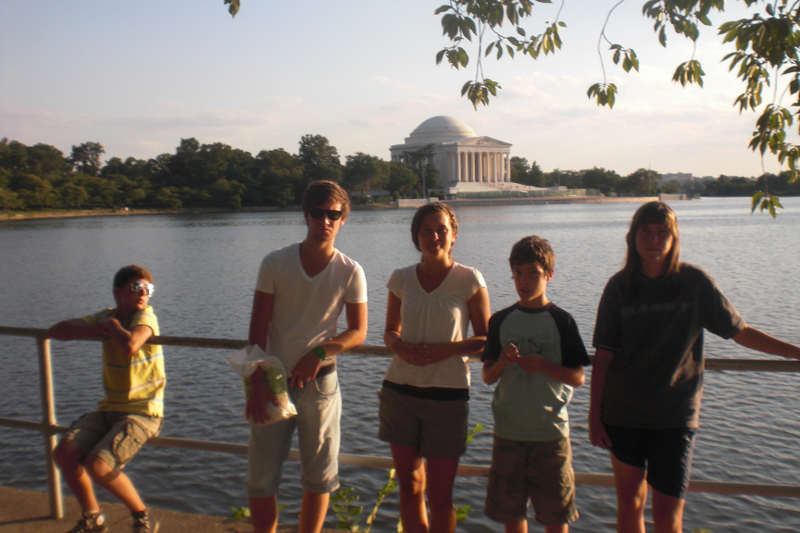 Please feel free to share with us your comments and stories about family travel ( to D.C. or elsewhere). If we can help you with any questions in regards to our travel destinations, we will try to answer them. Peace ! For more interesting and helpful stories about favorite destinations, read these following articles from other travel loving families !